There are several methods to copying the Cartridge ROM information without opening the cartridge case, one of them is to use an alternate Operating system instead of the original ATARI O.S. such as Omnimon or QMEG which has Monitor (debugger) capabilities... (You can also use the Black Box monitor) Enter the monitor tool and simply copy the Cartridge area to a file. 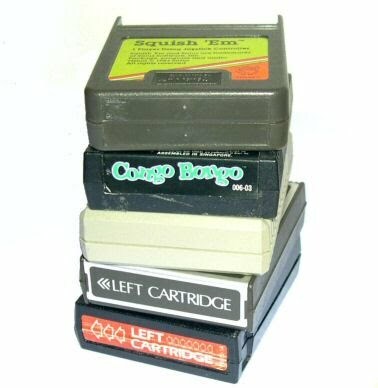 an 8K cartridge would be mapped on address from $A000 to $BFFF while a 16K cartridge would be from $8000 to $BFFF. But what about those XEG, OSS, or other Bank Switching cartridges? How to dump them?... well in this case you need to know how the cartridge Bank Switching works. 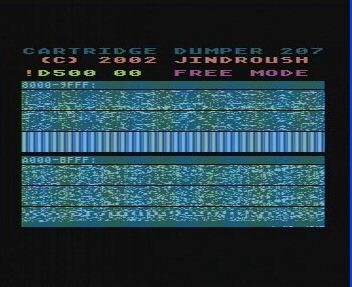 The Cartridge Dumper utility requires a 'pass through' device (such as the one that is shown on the picture below), this device will allow the Cartridge Data and Address lines to pass into the Atari cartridge Port while you can select to enable or disable RD4 / RD5 lines. 3) Insert the pass-thru device, insert the cartridge ontop of the device, turn RD4/RD5 switches off. 4) Turn on Atari, wait until the Cartridge Dumper tool finish booting. 5) Turn on the RD4/RD5 switches. 7) Press Return to save the cartridge image to disk. 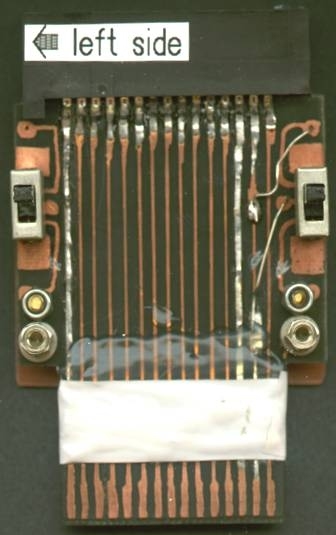 If you dont have the tools to build the 'Pass-thru Cartridge' device there is an alternative solution, its a hardware modification of the computer (XL/XE only). 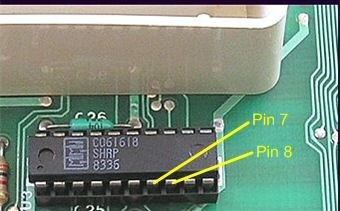 Locate the MMU chip CO61618 (U3) and bend up the pins 7 & 8, attach two micro switches between the pins and the corresponding socket holes. 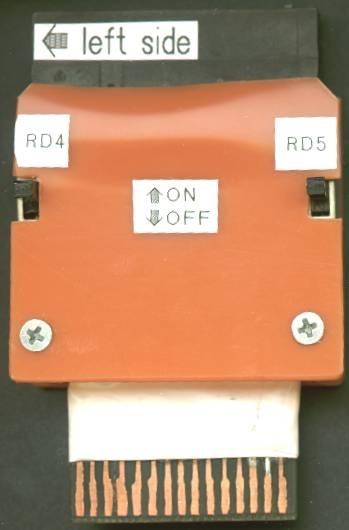 These switches will act the same as the RD4/RD5 switches on the cartridge pass-thru device. 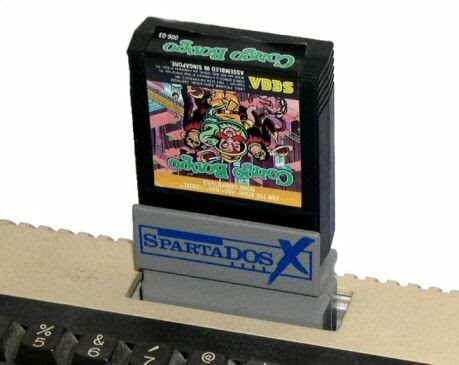 You can download the SpartaDos X ROM replacment from here: SDX Cart Dumper.sdx and using an Eprom burner burn it on a 27c512 Eprom that will replace the original SpartaDos X ROM.